Obama’s EPA: More Liberal Lunacy!! I came across this posted on another blog and I just had to share it with my readers. It is simply mind-boggling how supposedly intelligent people can be so freaking stupid!! The Environmental Protection Agency (EPA) today denied the American Petroleum Institute s (API s) request to eliminate mandates for biofuels that do not exist, and the agency continues to fine refiners for not using them. 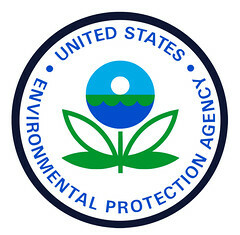 [The] EPA’s mandate is out of touch with reality and forces refiners to pay a penalty for not using imaginary biofuels, said API Director of Downstream and Industry Operations Bob Greco. EPA’s unrealistic mandate is effectively an added tax on making gasoline. The Clean Air Act requires EPA to determine the mandated volume of cellulosic biofuels each year at the projected volume available. However, in 2011 EPA required refineries to use 6.6 million gallons of cellulosic biofuels even though, according to EPA s own records, none were commercially available. EPA today denied API’s 2011 petition for reconsideration of the mandate and continues to mandate these nonexistent biofuels this year. The fact that EPA continues to mandate these biofuels that do not exist is regulatory absurdity and bad public policy, Greco said. API represents more than 500 oil and natural gas companies, leaders of a technology-driven industry that supplies most of America s energy, supports 9.2 million U.S. jobs and 7.7 percent of the U.S. economy, delivers more than $86 million a day in revenue to our government, and, since 2000, has invested more than $2 trillion in U.S. capital projects to advance all forms of energy, including alternatives. Previous PostDude ….. really! !Next PostPolish Death Camps! ?